When the zombie horde approaches, why not join in? 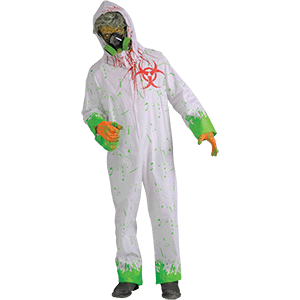 With our assortment of high-quality zombie costumes, you will be able to do just that! We offer zombie Halloween costumes for men, women, and children, so the whole family can look like the walking dead. 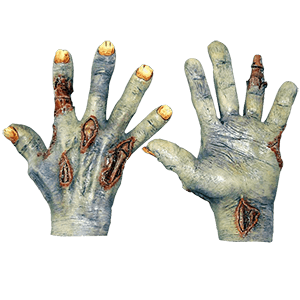 In addition to complete zombie costumes, we also provide excellent zombie masks, zombie gloves, and zombie boot toppers that you can use to round out any undead ensemble. 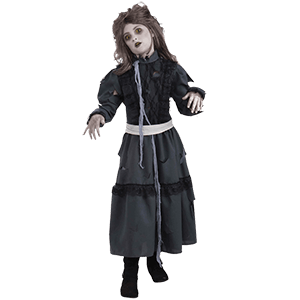 In addition to classic renditions of gory walkers, we provide a variety of horror costumes with twists, such as zombie doctor and nurse costumes, zombie pirate costumes, zombie knight costumes, biohazard zombie costumes, zombie bride and groom costumes, and many more. Whether you want a zombie couples costume, a terrifying psycho costume for the haunted house, or a traditional zombie ensemble for a zombie walk, you will find many impressive options here. If you are looking for a fantastic mens zombie costume, then you have come to the right place. In this section, you will find adult zombie costumes galore in many horrifying styles. 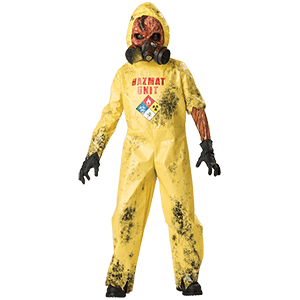 Choose from zombie doctor costumes, zombie soldier costumes, zombie butcher costumes, biohazard zombie costumes, and many more designs. We even branch out from the traditional undead fare with zombie knight, zombie monk, and zombie pirate styles. If you are looking for a zombie couples costume, we even have great picks for that, like our zombie groom costume. Each horror costume comes with detailed pieces that will transform any gent into a gory walker. Tattered and twisted, our mens zombie Halloween costumes are great options for zombie walks, haunted houses, costume parties, and other themed events. Imagine yourself wearing your perfect zombie costume, but instead of having rotted zombie feet, you are left with clean, casual shoes that stick out like a sore thumb. It does not have to be that way, though, as we offer excellent zombie feet and zombie boot toppers that will complete any zombie costume. Each of these costume feet and costume boot toppers is designed to be worn over your shoes in order to create an eerie zombified effect with exposed bone, ragged toenails, gore, and grotesque coloring. We also offer a variety of skeleton costume feet for zombies that have been a part of the horde long enough that all semblance of flesh is gone! Some of our Halloween foot covers are designed to cover just the toes, while others are made to fit over the whole foot. 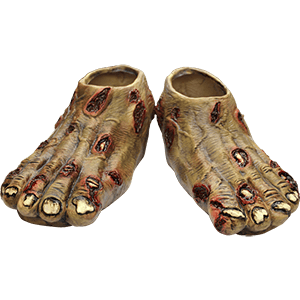 If you are looking for nothing less than perfection when it comes to your ideal zombie costume, make sure to pick out some of our zombie costume feet. Telling the zombies apart from the humans just got more difficult! The zombie masks here will give anyone - dead or alive - a horrifying visage straight from the grave. Our zombie costume masks range from classic zombie to undead abomination, ensuring that you can be as monstrous as you wish. We also carry an assortment of horror masks that branch out from traditional zombie appearances, such as skeleton masks, monster masks, and scarecrow masks. Our inventory includes a range of licensed Frankensteins Army masks and Resident Evil masks, too. 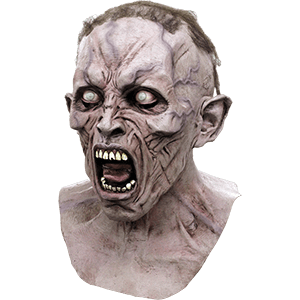 Many of our zombie Halloween masks are made from high-quality latex that shows off excellent detail and color. They come in all shapes and sizes, including some made to fit over the whole head and others designed to cover only part of the face. Whenever you are planning your look for the next zombie walk, haunted house, or costume party, be sure to check out our selection of undead costume masks.